The past couple of weeks the internet has had a few posts about controversy bubbling around the new Darren Afronsky “Noah” movie. Based on some of the reaction, the director has been asked to make some changes to the film. Some articles suggest the studio and director are “feuding” about the final cut. From there a quick search online for “Noah film” and “blog” will turn up a growing number of blogs from faithful Christians who are becoming more outraged about the treatment of the biblical story in the film. Here’s one from Ken Hamm of Answer’s in Genesis. That’s not surprising, since the AiG is developing the Ark Encounter. Allow me to sum up what most of these blogs are saying: We’ve seen a preview version of the film. The movie is not true to the biblical account. We shouldn’t support it. I imagine the producers of the movie are salivating at the possibility of a boycott, and general controversy that will, in the end, propel the $125+ million epic into profitable status. And based on some of the online reaction, that may be coming. Embrace the movie. Here’s why. I know it can be frustrating when Hollywood takes something sacred and jacks it up. I’ve seen too many movies and shows where this happens and it is always un-fun. The reports that this Noah is some sort of “first environmentalist” make me cringe. I truly hope that is downplayed on the final version of the film. Now, I know if someone took stories from the Koran and reworked them, Islamic extremists would do more than boycott. The producers and directors would need full time security to protect them from the backlash. So it is doubly annoying that one of the only demographics in America that it is still OK to malign and general mess with is Christianity. But rather than respond negatively, I want to reframe your perspective. Don’t expect non Christians to act like Christians. The people making this film are not believers. They are in business. They have seen the success of biblical material and have turned their attention to it in order to line their pockets. The moment biblical films don’t make money, they will be back to other subject matter. They are not Christians, but they are at least smart enough to screen the film to different kinds of audiences to gauge reaction. The final version of the film isn’t out yet. And while the director may be digging on his heels on changes, it may still be closer to the right version in the end. If this film flops, it will lead to less biblical movies from major studios. It’s a tautology. We want more content from biblical subject matter. And we need non Christian studios to make that content so a wider audience can be exposed to it. But we want non Christian studios to stay completely true to the biblical account. If they don’t we warn people not to see the film. In hopes it will not make money and they won’t dare make a biblical film again. But we still want biblical content in the mainstream. And we need non Christian studies to make that content so a wider audiences will be exposed to it. And the circle continues. What if instead of shunning Noah, and other films like it, we embraced it? Go see it. Watch the final version. Be able to talk from personal knowledge about the film, not from articles written from early drafts of the script, or 2nd hand accounts from blogs written about the preview version. Study up on the biblical story and be ready to talk about it. The story isn’t just about killing off most of the population. It’s about justice, mercy and redemption. It’s about God’s promise. It’s sin and consequences. It’s mercy and salvation. These are powerful themes. They resonate with people. Seize the chance to talk about faith with people who are talking about the film. Once in a while mainstream entertainment delves into the spiritual, and every time they do we should be ready to talk about our own spiritual journey. Remember the conversations you had after The Passion of the Christ and the last episode of Lost. Did you miss the chance to share about your faith? The week or so after Noah comes out people will be chatting about it. Don’t use that opportunity to simply lambast the film over differences from the biblical account. Instead talk about what God has shown you through the study of the flood account. Talk about Gods promise to never do that again. And his plan to bring redemption to the current sinful world through Jesus. Or choose another theme or lesson. 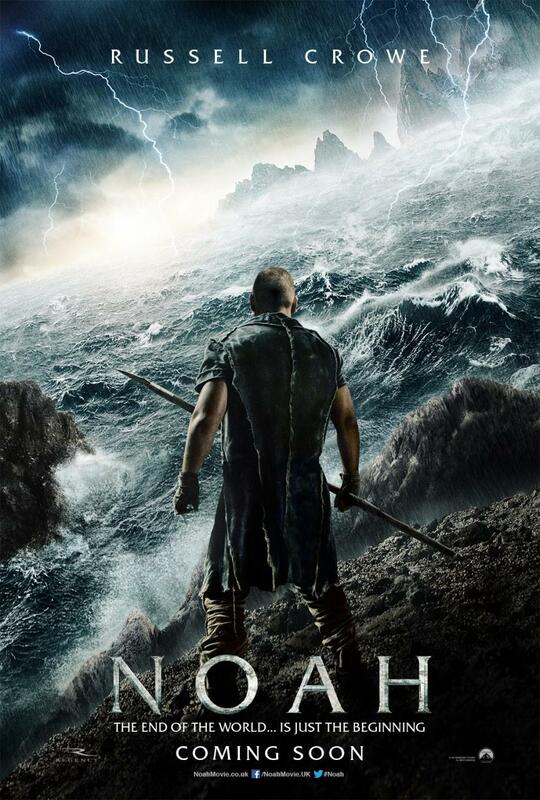 Films like “Noah” give believers major openings to talk freely about their faith. We should encourage movies like this. And we should be prepared to have a real conversation with people about them. What do you think about the controversy surrounding this film? 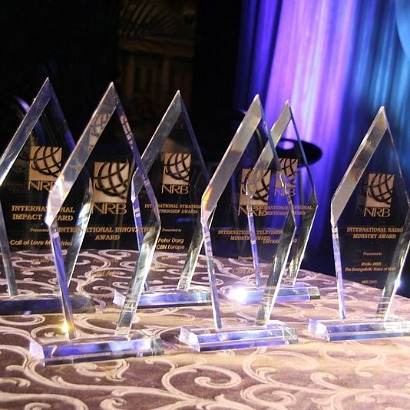 Last week National Religious Broadcasters announced that Peculiar would receive a 2014 NRB Media Award for Best Creative TV Programming. That’s a huge honor. NRB has been around for 70 years. Every year they give out awards for various categories in the different media disciplines. Getting one is kind of a big deal in some circles. This isn’t some fly by night organization that just decided do some awards. So, when I first heard we had won, I was surprised, pleased, proud of my team. What we did with a volunteer cast and crew on a micro budget is amazing by anyone’s standards. But then I realized… We shouldn’t have won. Not because we had done something wrong, or it didn’t meet the criteria, or anything like that. We shouldn’t have won because we shouldn’t have been the best program submitted. I’m not blind. I can see the other winners in other categories. Any objective comparison of production quality will show that we are not in the same ballpark. Of course, they are using millions of dollars in equipment with a decent budget while we got by on borrowed gear and a dream. Nothing wrong with that, but we are not in the same league. But let me just be transparent. I am not the most creative guy alive. Sure, I can come up with a good idea. But for my first show out of the gate to win this award, well, color me shocked. I know I need to learn more about writing, directing, producing, and everything else. There are better producers, writers, directors, show runners out there. There are more creative people out there. In Christian TV there aren’t a lot of shows like Peculiar. I can count on one hand the number of Christian sitcoms I have seen, and have fingers left. Same goes for Christian dramas. For whatever reason, there just aren’t many in production. But there should be. I know that in Christian TV a lot of money changes hands. Some of the major networks, they take in millions and millions on the course of the year. What if some of these networks or stations took just a portion of their budget, and hired producers to create creative programming? And took a bit more of the budget and earmarked it for production? Imagine if a network set aside $1 million, and hired 5 show runners to produce 5 different series of shows (13 episodes each). Imagine if they set aside a one decent salary and a $100,000 budget for production. Don’t tell me it can’t be done for that. I produced 10 episodes for under $9000 total. If some had handed me a $100,000 budget and paid me a salary, imagine what we could have done. Peculiar would be the same show, but 10 times better. Of course, the question immediately follows: A network or station taking $100,000 earmarked for something else and investing in a new venture? What’s the return on investment? How do you recoup the money? The Christian TV market isn’t set up to do normal TV. As the station/network you can fill break slots with fundraising content and provoke some viewers to send in money. But that sort of thing is dying off. Younger viewers are not as likely to respond to that sort of request. Maybe the key is selling digital copies? Maybe working with a distributor to get a DVD placed, and digital versions available for purchase on iTunes and the like. Maybe it’s doing more “enhanced underwriting”. What’s enhanced underwriting? A show that has viewers can attract sponsors. If the content is driving viewers to the station, then the underwriting becomes a good option for sponsors. This is a delicate balance. You don’t want to do something you shouldn’t or that’s not permitted on the non profit station, but you can do some sponsorships. Plus there is no limit to how you can advertise on the station’s website. Obviously, an education license station can’t switch to all entertainment programming. There has to be a lot of teaching programs on the air or the station is in danger of losing its license. But creative programming can be done, and done for less money that you would expect. And that’s what younger audiences want to watch. Being selected for this award is a huge honor. I am so grateful and humbled by it. I couldn’t be prouder of the work my team did on the show. But we shouldn’t have been the best show submitted. We shouldn’t have won because there should be better creative programming than ours on Christian TV. A few weeks ago my main freelance client cut me loose. It was sudden, unexpected and shocking. Now, though on my part I tried to wet the wood, that bridge is thoroughly burned. One week I was the best thing since sliced bread, the next I was cut loose, the next after that I (from the client’s perspective) had tried to rip her off and the relationship is broken. Stop payments had been placed on my checks. After a couple of weeks of drama, I’m hopefully done with it. I wanted to share some of what I learned. In hindsight, even though up front everything was great, she let a few comments slip about finances and desires to do more or different things. While she didn’t broach those subjects specifically, in the end these were major factors fueling the bridge fire. If I had been more sensitive to what was under the surface, I might have been able to head off the bad part of the break. The break, I fear, was inevitable. But we could have parted much better. Don’t let a long relationship dull your business sense. Our final disagreement really stemmed from a misunderstanding about scope of work I was assigned. I got sloppy, assumed she understood what I was saying because of how long we had worked together. She claims she didn’t know, and didn’t authorize some of the work I did. I was clear about what and how long. But now I know she was preoccupied with finances, and being hit with a bill larger than expected didn’t sit well. Always be sure both parties know what work you are doing and what you expect to charge. The easiest way to do this is to provide a quote and follow up with an invoice. If you choose not to do this, as I did, then make sure you both understand and agree verbally. Maybe you will get into a weekly gig, and a standing agreement may work. But if you vary from the normal work/payment formula in place, always fall back to quote and invoice. This will prevent a lot of headaches. This was the fundamental mistake I made. If/when something does go wrong, it’s probably not personal. Try to understand their perspective. Find out what the root of the problem is. In my situation, she wanted to do more for less money. She ran into a company that said they could do that. So, I was out. Then when I presented my final bill, she was unsure about my charges. Those two facts resulted in a list of inadequecies leveled at me and the accusation that I was trying to cheat her. I was not doing what this company says it would do for less money, so I must not be as good as an employee as she thought. She did not like my final bill and did not understand why it was higher than expected, so I was trying to rip her off. Don’t underestimate the power of emotion. We had worked together for a year and a half. While the new deal with the new company might make good business sense, it was hard for her to cut me loose. Creating this list of grievances helped her justify the break to herself. You won’t please everyone. Even if you are doing your level best, eventually someone won’t be happy. It doesn’t matter that you did amazing work. Or that you were professional in your behavior and attitude. Eventually someone will burn that bridge. You can’t sit on the side of the bank wondering why. You have to move on to the next project, the next client. When I was in the middle of the “you’re fired” conversation a part of me wanted to just leave. After all, it’s not like this was a real job. It’s freelance. She can fire me any time she likes, I can quit any time I like. I don’t have to like it. But, instead I tried to act professionally. And then she asked me to work a couple more weeks during the transition. I really did not want to do that, but I did need the money. Before I agreed to that, I talked about what she owed me. I could tell she was surprised, but I reminded her of our previous conversation. She ended up writing me two checks. Half for now, and half post dated. I had picked up on her concerns about cash flow by now, so this wasn’t a surprise. I told her where the new company could find all the information they would need, and made sure she had everything that she was supposed to have. When I left we had made a time to shoot one more time. I really didn’t want to, but I agreed to come back and set up some equipment and tape one more time. I was trying to exit gracefully, and not burn any bridges. It’s OK to stand up for yourself. When I called the morning of the scheduled shoot I was told that she had decided to put a stop payment on both my checks. These were for work already done. And our shoot for that day was canceled. That surprised me more than anything. We had a 45 minute polite, but frank conversation. In the end I was able to get one of the checks released. I decided not to pursue the 2nd check because it would take more time than it was worth. The check had been deposited and stopped. I had to wait for it to return and then go cash it. It took a few days, and I assumed we were done at this point. Then I got an email asking me to do a little more work, and could the amount she already paid me cover it. At this point I was still upset about the way things had been handled. I explained that I had done work for which I had not been paid. If that bill was settled I would be open to helping set up her equipment. But not before I was paid for the work I had already completed. That was not the answer she wanted. Just because someone asks for something does not mean you have to say yes. Sometimes being right isn’t the most important thing. In small claims court I could win hands down. With outside mediation I would come out on top. I could have forced the issue, but what I needed to do is find work to replace the income I had lost. Getting bogged down in trying to get the rest of the money is counterproductive in the long run. In this case, digging past the nastiness, I believe the root of it all was a major financial need on her part. God can ask you to do weird stuff. Of course, through all of this there were naturally times when I was upset. Times when I would cringe when my phone would buzz, hoping it was not another nasty-gram email. It became easy to hold a grudge, to carry hard feelings. One day, after I had gotten another viscous, rambling email (to which I had responded kindly, but frankly.) I was praying for this person. You see, I find that sometimes the quickest way to get past a grudge is to ask God to bless the person you are mad at. It’s very hard to stay angry at someone when you are asking for God to give them good things. That evening I was doing just that when I really felt that I was supposed to return the money that I had just gotten cleared. I know, that makes no sense. I was owed more than I’d been paid. But I really felt compelled to return it. So I told her, via email, that I had been praying and felt compelled to return the money she had paid me. I am sure she read all sorts of stuff into that. But God is bigger than this situation. The next day the bank was open, I did one of the hardest things I’ve ever done in business: send a money order to this woman. Everything in me screamed that this was dumb. But I was sure this was what God wanted me to do. So I mailed it. Even though you take the high road, sometimes the other person won’t. A couple of days after the money order had been delivered, I got another email. This one claimed that I had damaged some lights, and said that I needed to replace them within a few days time. Rather than email, I picked up the phone and called. The “damage” to these lights was one broken bulb in a fixture and a dent in the side of another. The dent had been there longer than I had been working with her, and the fixture still worked. The bulb was a normal fluorescent you can buy at any home improvement store for under $5. Even if the lights had been destroyed, the cost to replace them would be far less than I was owed. This was not high quality gear. Obviously, when I refused to replace this gear, things were not well received. It was clear that this disagreement would not be resolved, I told her that I was done. Please don’t call or email, or contact me again. She said that I would hear from her lawyer, and hung up. Keep a record of what has happened. Through this whole process I kept a record of any phone calls, writing down what we talked about. I kept all the emails. If necessary, I was ready to defend myself. Luckily, about 20 minutes after I was told to expect a contact from a lawyer, I got another email saying she was dropping everything, and moving on. It’s been a few weeks with no more contact, so I am hopeful this will just fade into memory. But if it had not, I was ready. Always keep a record of our invoices and payments. And if you find yourself in a bad situation, keep a record of what is said and agreed upon. As much as you may try to keep from burning bridges, other people may still set them on fire. If you find yourself in this place, it will get better. Things will pass. Focus on the larger picture. This is one client, not your life. Today at church we talked about this verse. We talked about other stuff too, but this was what resonated with me. Specifically, verse 9. Don’t grow weary of doing good, because in the end, you will reap what you have sown… if you don’t give up. That last bit there, that’s ticklish. We reap the good if we don’t give up. Not just if we sow for a while and then go on with something else. If we don’t give up. Perseverance is huge when you are chasing your dream. God gives you vision. God has a good task ahead of you. The likelihood is high that you will not see all of your effort come to fruition immediately. But, if you don’t give up, you will reap what you have sown.